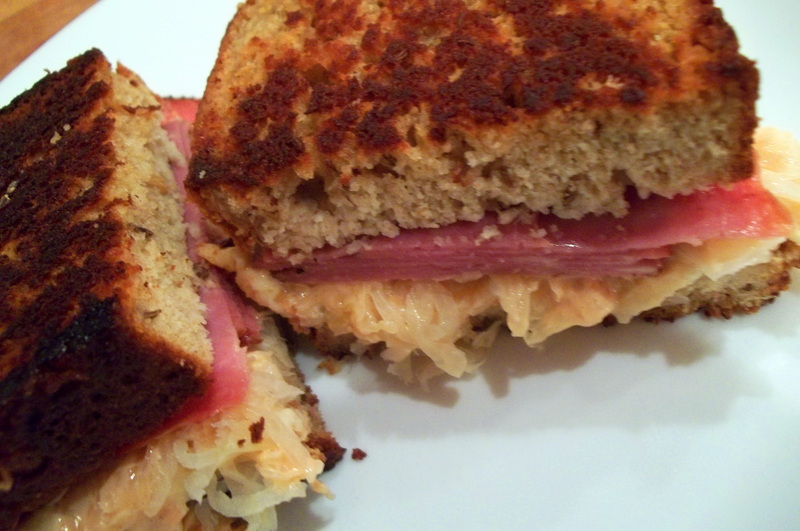 We like reubens. The first time I made reubens for the family, I did the total Barefoot Contessa thing and made my own marbled rye bread and roasted the corned beef. 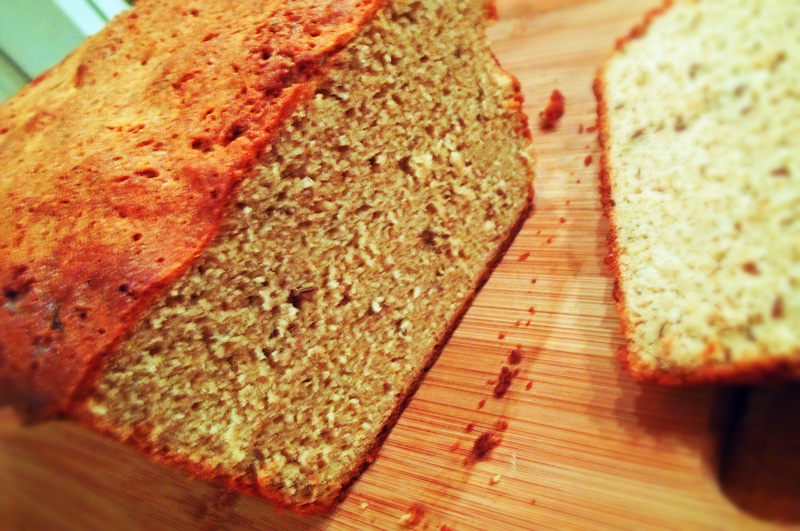 Alas, the days of homemade rye bread are gone. 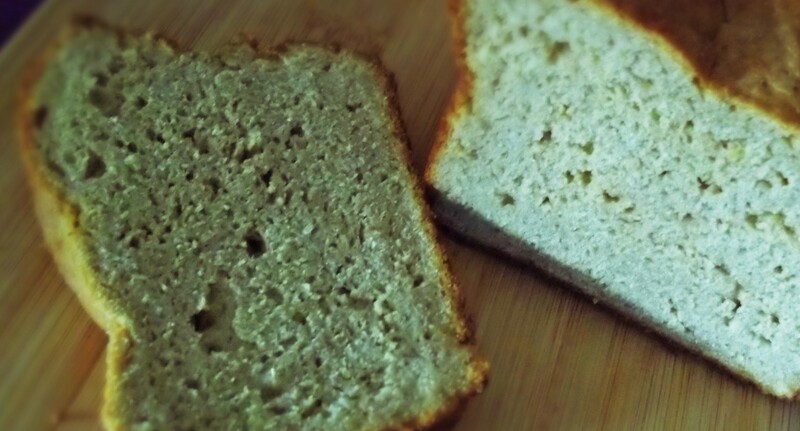 But, hallelujah, I finally came up with an awesome tasting pseudo-rye bread recipe. Of course, rye flour isn’t gluten free, so I used a mixture of millet flour, spelt flour, and brown rice flour which comes very close to the taste of rye. This bread has that slightly dense texture of a good rye bread and adding in the toasted caraway seeds really draws you in to thinking you’re having the real thing. Oh, well, I’m not supposed to have dairy, but there’s just not a good substitute for swiss cheese, but I’ll just have to deal with that another time. Swiss cheese or not, I hope you enjoy this recipe! It makes for a great reuben. Spray a large loaf pan with cooking spray and set aside. Heat the soy milk in microwave oven for about 1 ½ minutes until slightly warmer than room temperature. In large mixing bowl, mix together warm soy milk, olive oil, salt, brown sugar, and eggs. Mix well. Mix in yeast and let yeast bloom for about 5 minutes until yeast looks fluffy. In a medium sized mixing bowl, mix together the remaining ingredients. Add flour mixture to yeast mixture and beat well for about a minute until ingredients are thoroughly mixed. Scape the dough into the prepared loaf pan. Wet fingers and smooth dough into a loaf shape. Cover with plastic wrap sprayed with cooking spray. Let the dough rise for about 45 minutes, until dough is up and over the top of the pan. Preheat oven to 375º (or 350º convection bake). Bake bread on middle shelf for about 50 minutes. Do not under-bake or bread will fall flat. Bread is done when top is golden brown and sounds slightly hollow when thumped. Remove from oven and cool on a cooling rack before cutting. Brush top with butter, if desired. Makes one loaf. This entry was posted in Gluten Free Baking, Gluten Free Bread, Gluten Free Cooking, Gluten Free Food, Searching For Gluten Free and tagged Gluten Free Baking, Gluten Free Bread. Bookmark the permalink.